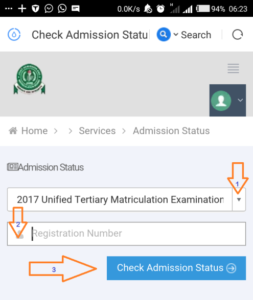 2 Method to Check JAMB Admission Status. This is to notify all UTME and Direct Entry candidates that the Joint Admission and Matriculation Board (JAMB) recently opened the portal for checking of admission status for all years. Also the board has brought to our notice that Checking of admission status on JAMB portal is Free of Charge (FOC)! Once candidates are done with the important screening in their respective institution of choice they can now proceed to check their admission status on JAMB Portal. 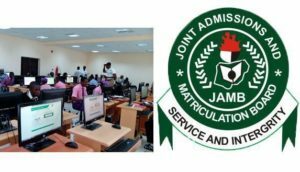 Method to Check JAMB Admission Status. candidates from 2016 downward will have to create an account with JAMB to be able to check your admission status. i. Visit Joint Admission and Matriculation Board (JAMB) E-facility portal at: jamb.org.ng/efacility. ii. Login to your Jamb profile with your username and password. iii. Scroll down then locate and click the ‘Check Admission Status‘ tab. iv. Select your Exam year and Enter your registration number in the required columns. v. Finally, click on ‘Check Admission Status‘ to access your admission status. The Recent introduction of JAMB CAPS, most institutions now direct their prospective students to check their admission status on JAMB portal before they upload it on their official portal. Once you find your name in the admission list you are advice to speedily accept or reject the admission to enable the board process your admission. Keep checking the website if your name has not yet appeared in the portal, the managements are uploading the list batch by batch. Please lick on the Facebook Share button and share with friends.